Ron and I have been married 32 years and have 3 grown sons. I’m from MN and Ron is from JC. 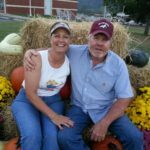 We moved to TN when Ron retired from the Navy and have had horses ever since. Ron’s Paint/Thoroughbred/Draft cross came from a PMU farm in Canada. He was a wild baby at 5 months old and somewhat calmer now at 13. I ride a TWH paint named BayRite. I grew up on a farm in Roan Mountain, TN. I was raised with horses to do farm work and I got a spotted pony when I was around 8 years old. We always had TWH and used them for riding and to plow crops. I have lived all over the southeast, and I have always had horses. I lived in Florida for 10 years and rode in the Ocala National Forest. 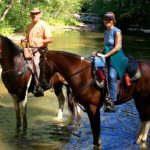 I have also ridden in Big South Fork, Smoky Mountains, and trails around Roan Mountain. 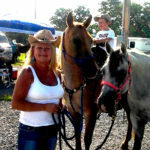 I have raised and trained Paint horses, conducted small clinics for kids, and judged local horse shows. Currently I have a Quarter horse and a spotted TWH. I enjoy hiking, bicycle riding, camping, and other outdoor activities. I look forward to working with the BCHET and helping with expanding horse trails and getting the younger generation involved. 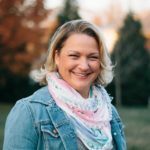 Jamie is a mother of three beautiful girls and currently resides in the Johnson City area. In 2013, Jamie found her way back to the love of horses and riding. She currently has an Arab/Saddlebred mare, has competed in Hunter Pace and Endurance rides and loves trail riding. In 2016, she came to her first BCHET meeting and soon after, attended her first organized ride. 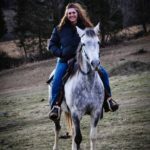 By joining BCHET, she has met a lot of people, found many places locally to ride and has the understanding of how important it is to protect and maintain our current trail system. Jamie would like to encourage each of you to find your local outpost, attend meetings and use your natural talents to get involved to help keep our beautiful mountains clean for all to enjoy. I am a wife and mother of three mostly grown children. I grew up riding horses all over the rural community where I still reside. Four years ago I purchased my first ever horse trailer so I could venture out onto the mountain trails. As fate would have it, my used trailer had a BCHET sticker on it, which led me into joining the organization. I have made some great trail riding friends and learned much about the local trail system. My experience with BCHET has given me an appreciation for all the work they collectively do to maintain and advance new opportunities to explore the great outdoors. 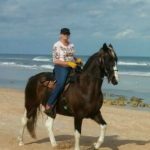 I am a retired teacher from Florida who has always loved horses. I have lived in Shady Valley, TN. for the past ten years and I work part time for Keywood Animal Clinic as a receptionist. I have been active in BCHET for the past 4 years, and am currently the representative for Tennessee on the national board of directors. 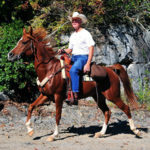 I want to stay as active as possible helping maintain our trails and riding my TWH Rocky. Robert and his wife, Lisa, live in the Bowmantown area of Washington County. They purchased their property in December of 2016 and are still in the process of building their dream mini-farm. 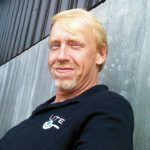 Robert was born in Souix Falls SD and raised in the Bloomingdale community of Kingsport. 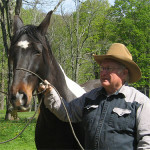 He has owned horses on ond off since around 1991. His favorite breed is TN Walkers. 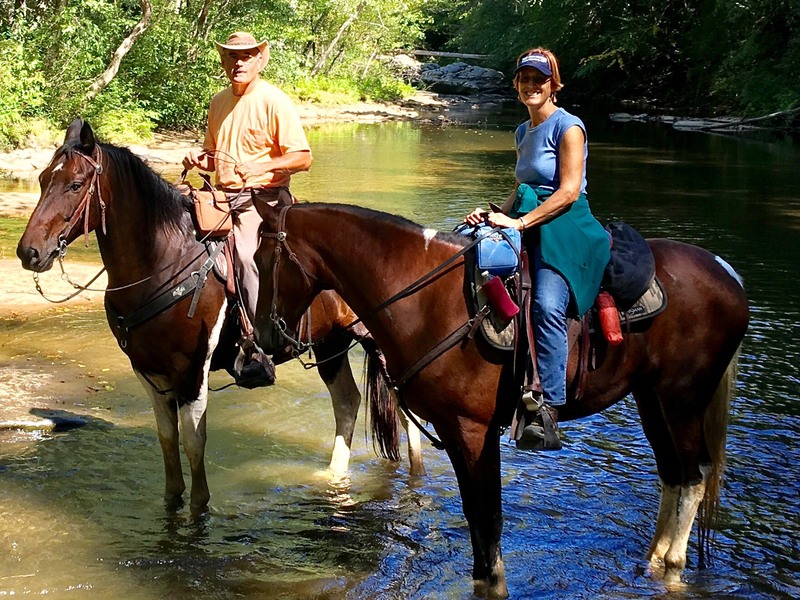 Robert and Lisa currently own 3 mares and a yearling; a TN Walker and a Standardbred, both of which were rescues as well as a Spotted Saddle Horse and her yearling philly. Robert’s favorite places to ride are Big South Fork and Cumberland Gap National Park. He is looking forward to serving the organization as a board member and will support BCHET in all endeavors to promote and protect our ability to have access to public lands for equestrian use. Robert’s hobbies include trail riding, camping, going to car shows, working on their farm and spending time with the grandchildren. Let me start with: I love my husband, I love my kids, and I love my horses. Sometimes it’s hard to tell which comes first. I am Minnesota raised and horse crazy. I knew I didn’t want to stay in Minnesota – too cold for way too much of the year. I moved to Tennessee and found some of the best riding! I enjoy getting out to ride and I hope to bubsee all of you out on the trail soon. I was born and raised in Florida and moved to Greeneville 15 years ago from Daytona Beach with my husband, Pete and our youngest son, Taylor. Our oldest son, Casey and his family still live in Florida as well as much of my husband’s family. Pete and I are the proud grandparents of six fantastic grandkids. I am a retired Registered Nurse and Pete is a self-employed contractor. We both grew up with horses and rode well into adulthood but ended up getting out of horses for many years. Part of our Tennessee dream was to reconnect with our love of horses, and boy have we done that! As a native Floridian, I never imagined the beauty and challenge of riding in these mountains, and my husband and I love every minute of it! We have met so many wonderful people here in Tennessee and can’t imagine living anywhere else. Thank you for this opportunity to serve our community and represent our trail riders. Hello, I am Richard Jamison, leader of Outpost 1. I have lived in Greeneville, TN for nearly 12 years, having moved from low state SC. I had horses as a young adult and then experienced a 20 year or so gap before re-engaging in 2011. I ride a 9 year old Arabian mare. I began Trail riding with local friends in 2013 and joined BCHET about 3 years back. 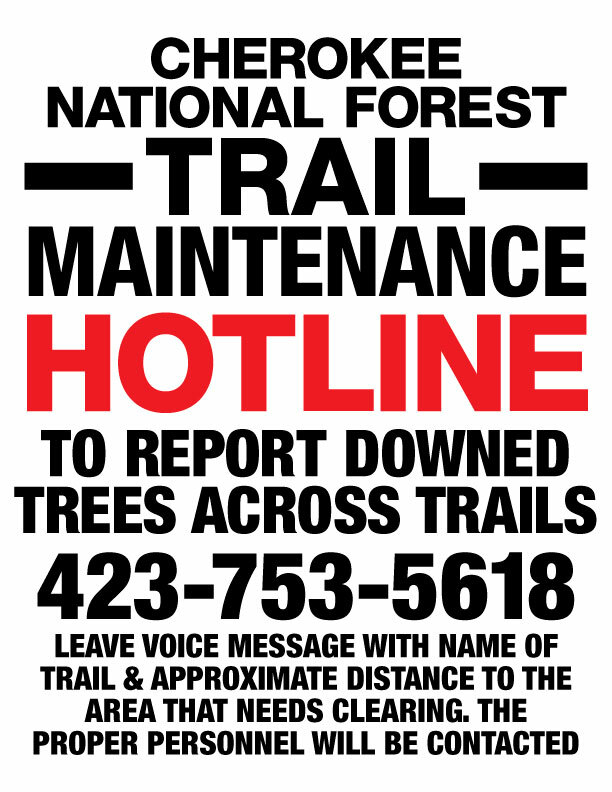 I truly love the activity and feel fortunate and blessed to enjoy our National Forests and this wonderful country. I am proud of the work of BCHET and appreciate the opportunity to experience the joy of trail riding with other enthusiasts. See you all out there soon.